What is the story of your journey from the first guitar you owned to the most recent? Mine was probably pretty typical. It was never a conscious adventure towards a clear destination. I was in my early teens when my father gave me a second hand, no‑brand classical guitar, complete with nylon strings – he got it in lieu of a debt, I think. I gave it a go and, for some unknown reason, decided to persevere with it. It was the early ‘70s, so maybe I too could dream of being like Marc Bolan or David Bowie! It was a chore at first with lots of sore fingers and clumsy fumbling while learning basic chord changes and scales. Oh, and the ‘joy’ of ‘striking the pose’ of course! 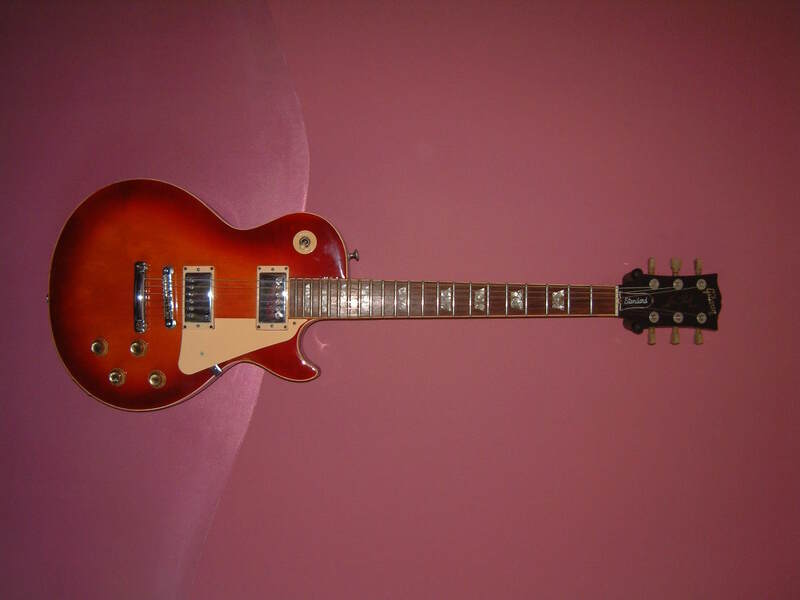 For all my efforts, I wanted the reward of getting a proper, shiny, loud electric guitar. I was lucky enough to get a cheap package of guitar and amp but they didn’t last long before they were, erm, ‘adapted’! After a period in my mid-teens, during which my playing failed to improve greatly, I rose to the giddy heights of owning generic far eastern Les Paul copies (horrible things). I wanted to play in a band and had great fun learning to make music with others, including a few poorly‑attended live appearances. Oh well. In the late ‘70s, I went to work for a music distribution company, just to be part of the business. Then, at last, I got my hands on the real thing. After a Fender Mustang, I bought a ’77 Fender Stratocaster and a ’75 Gibson Les Paul, both of which I still have to this day. I even dabbled with bass guitar, I still have them too. My playing though, sadly, did not progress with time and, after much soul searching, I came to the painful realisation that I needed to reassess my expectations and priorities. So, I reluctantly became a traditional ’grown up’ with a family, a mortgage and my unrequited dream of becoming a lycra-clad, global Rock God with big hair, recreational substances and limitless groupies was regrettably relinquished. As a result, the guitars got used less and less, until they were put away for a decade or more. By the time I was old (in my forties! ), I went into a well-known guitar shop in Cardiff and fell for an ‘88 Black Fender Telecaster, which I still have. That started the ‘gear acquisition syndrome’ (a.k.a. GAS) all over again. A rapid proliferation of diverse, newer instruments was halted when I came across a lovely black ’89 Gibson Les Paul Custom in Brighton, which I… (you see where this is going). 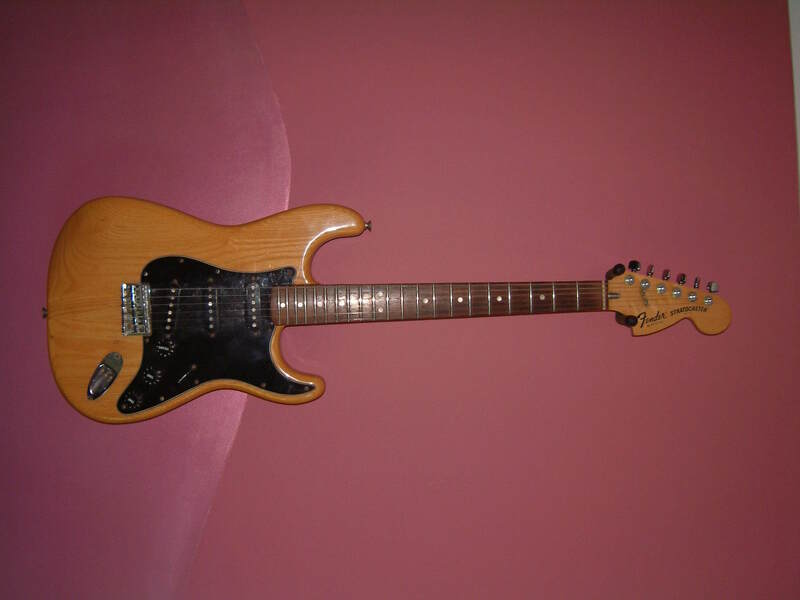 I began an intense quest of finding cool and rare vintage electric guitars, importing several from the States. During a particularly horrendous period of my life, I was forced to cut back on all but my most prized Gibsons and Fenders, which had to be put in storage for temporary safe keeping.